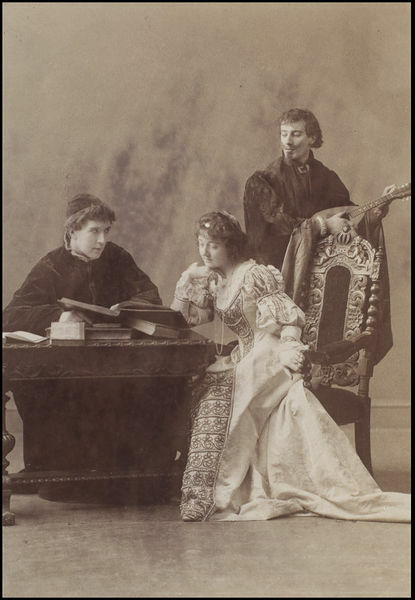 Sepia photograph of Mabel Terry Lewis as Bianca with P. Lee and F.S. Stevens in The Taming of the Shrew at the O.U.D.S, Oxford. 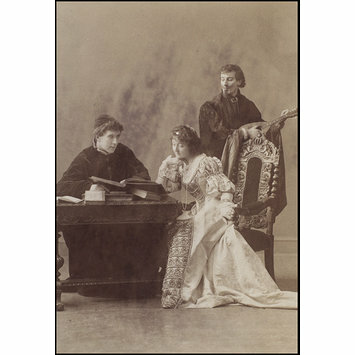 Photograph of Mabel Terry Lewis, P. Lee and F.S. Stevens in The Taming of the Shrew, Oxford. Guy Little Collection.